1. 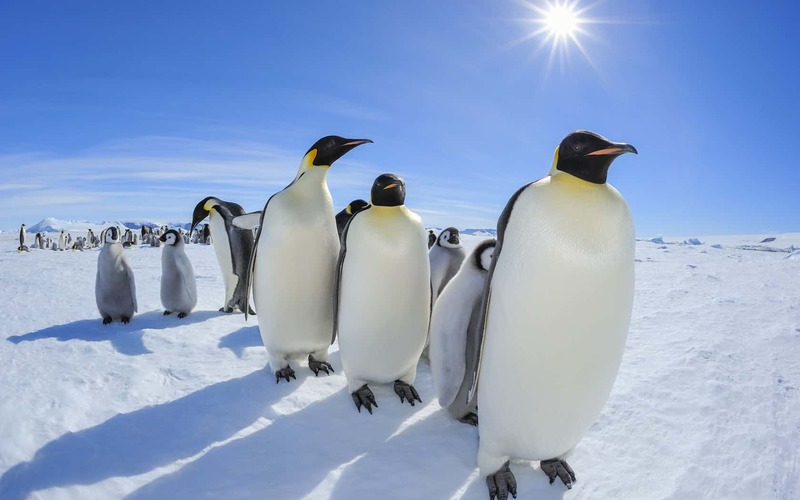 Emperor Penguins breeding, Antarctica - As the Antarctic winter draws in at the end of April, Emperor Penguins begin the long march inland to their breeding grounds. There, they mate, before taking turns to insulate the egg while their partner travels up to 80km to fish. Back in the colony the penguins huddle together to protect the eggs from temperatures below -50°C; only a small fraction of chicks survive each year. 2. The salmon run, North America - From October to December each year, millions of adult salmon will travel thousands of miles from the Pacific Ocean to the place of their birth: mountain streams across British Columbia and Alaska, where they themselves will spawn. 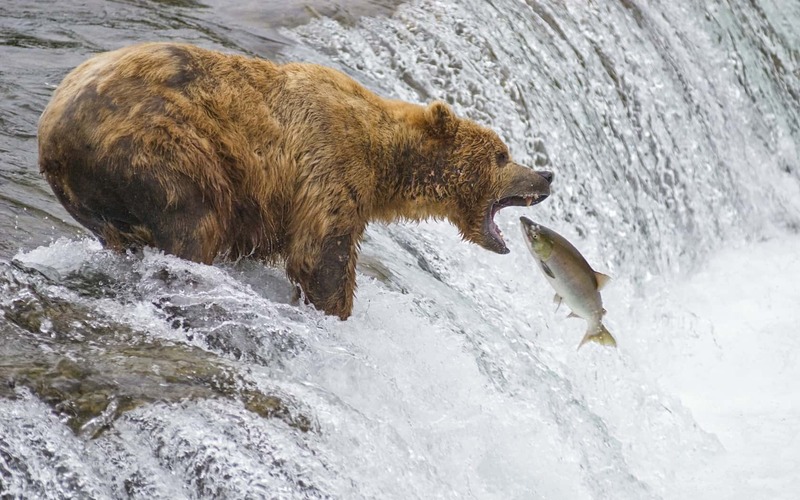 Fighting their way against the current, up waterfalls and through rapids, their astounding migration attracts hordes of grizzlies, eagles and wolves. 3. 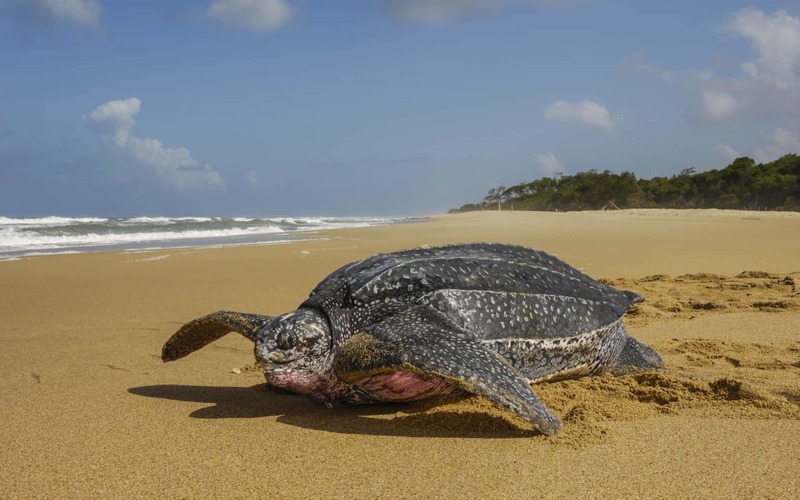 Turtles nesting, Trinidad and Tobago - An estimated fifteen percent of the world’s leatherback turtles drag themselves out of the sea to nest on Trinidad’s beaches in May and June. Females come to the beaches to nest several times during the season, laying up to one hundred eggs at a time; night patrols are just one of the conservation efforts now in place to ensure the survival of this endangered species. 4. 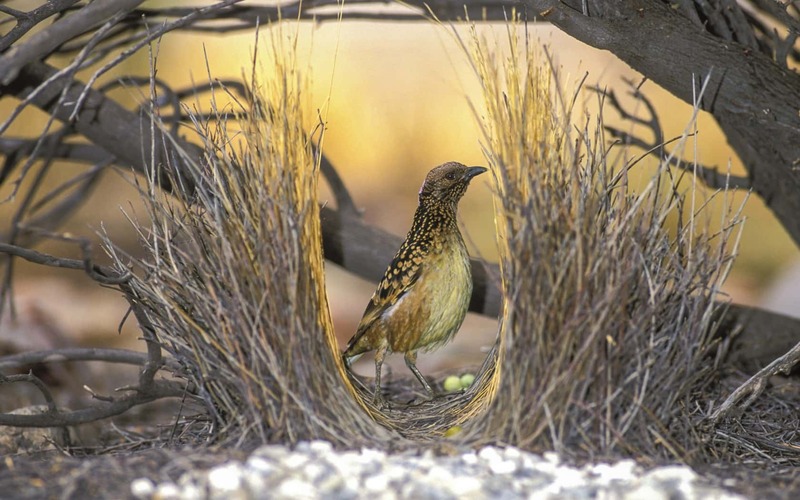 Bower birds nest building, Papua New Guinea - To win a mate, the male bower bird takes home-making to the extreme. Each year, between September and February, they go about constructing an elaborate nest. Twigs form the basic structure, but these showoffs like to add colorful flowers and shells; they even incorporate discarded, cans, coins and plastic if they can find them. 5. 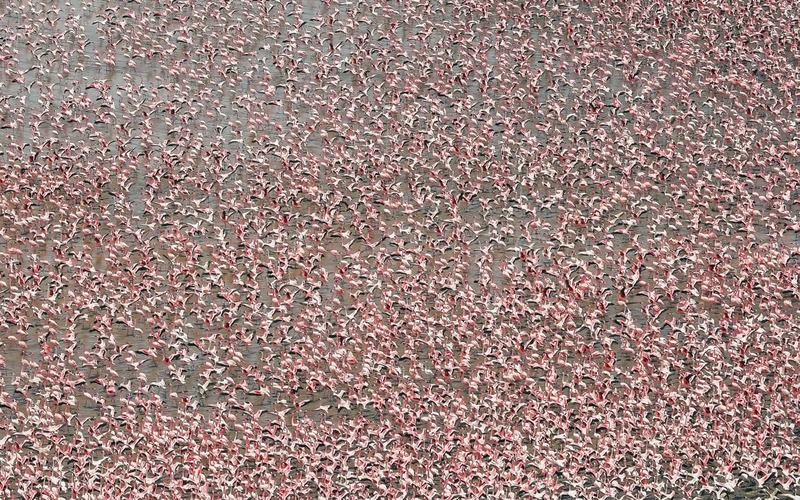 Flamingos, Lake Nakuru, Kenya - Recently the levels of algae in Kenya’s Lake Nakuru have been declining, making the astonishing number of flamingoes who arrive to feed on it a rare spectacle. These graceful birds use their long legs to paddle out into the lake, feeding off the alage and other small organisms; they get their pink colouring from pigments in crustaceans. 6. Bluebells, UK - Come April, shady woodland floors across the UK burst into colour. 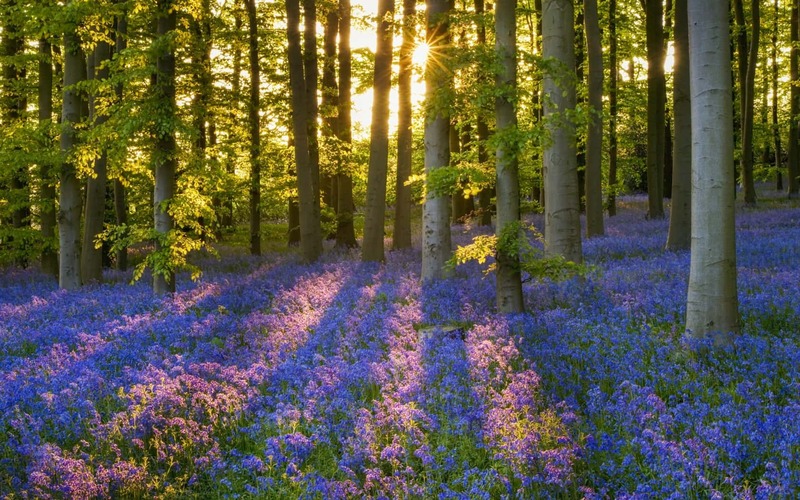 This cobalt blue and lilac carpet is a classic image of British springtime, and it’s estimated that over half of the world’s bluebells are found in the country. There’s just a short window of a month or so to see them; most displays are over by the end of May. 7. 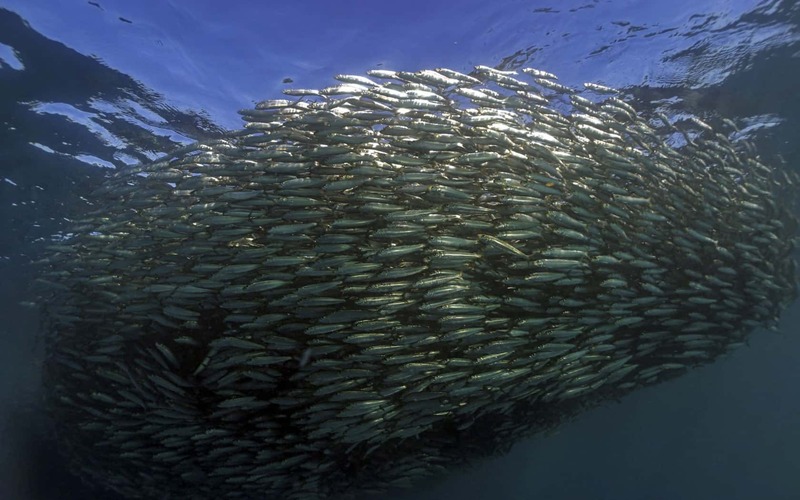 The sardine run, South Africa - Picture, if you can, a billion sardines, their skin glinting as huge shoals swish through the ocean. Diving, lunging and charging through them are whales, sharks and seabirds, eager to make the most of the glut. You can catch the spectacle from May to July, as the sardines move north into the sub-tropical seas off South Africa’s Wild Coast. 8. Autumn colours, New England, USA - The start of October heralds the arrival of New England’s glorious autumn foliage. 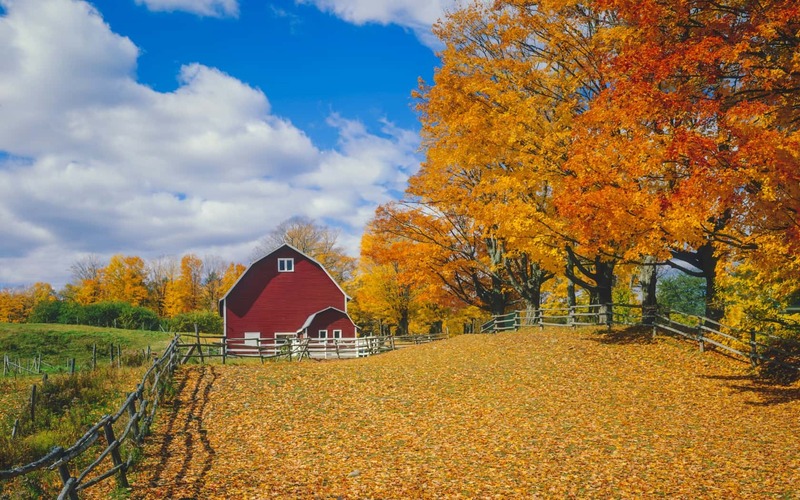 Leaves throughout the states of Connecticut, Maine, Massachusetts, New Hampshire, Rhode Island and Vermont gradually turn from green to gold and amber, covering the low-lying hills with a medley of rich colours. This seasonal wonder now attracts hordes of visitors, jokingly referred to as “leaf peepers”. 9. The Severn bore, UK - The River Severn has the second greatest tidal range in the world, and as the highest tides surge inland they’re funneled into wave by the narrow river channel. 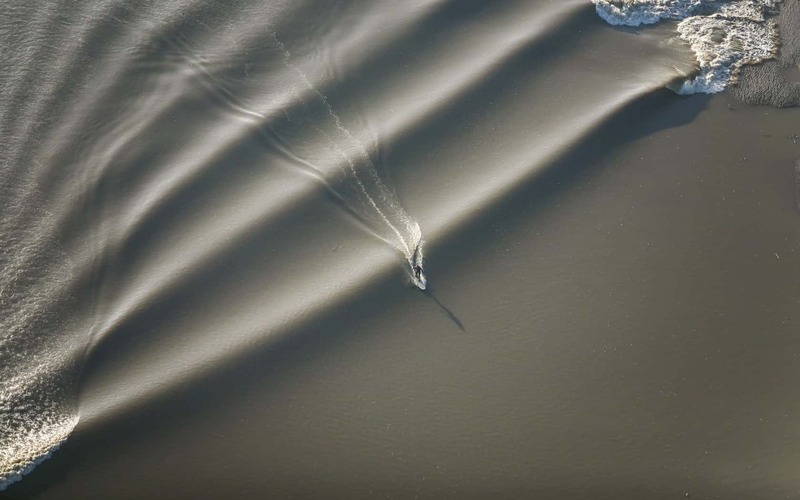 The largest bore waves coincide with the spring and autumn tides; the highest have reached nearly three metres and surfers regularly gather to ride as much of the 25-mile stretch as they can. 10. 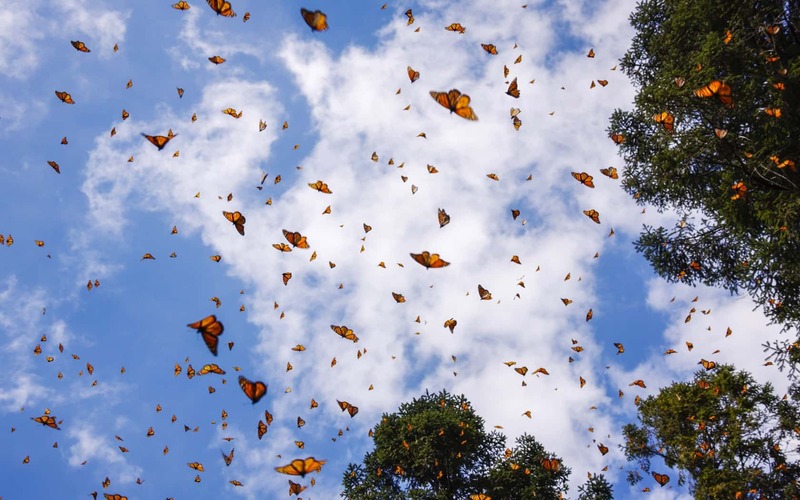 Monarch Butterfly migration, Mexico - Monarch butterflies start to leave the USA each year in October, flying south in their millions to hibernate. Each generation somehow manages to return to the same tree used by their parents, covering Mexico’s Oyamel Fir forests in a magical blanket of black and orange. You can watch them at the El Rosario Sanctuary in Michoacán, but many of their natural habitats are now under threat. 11. 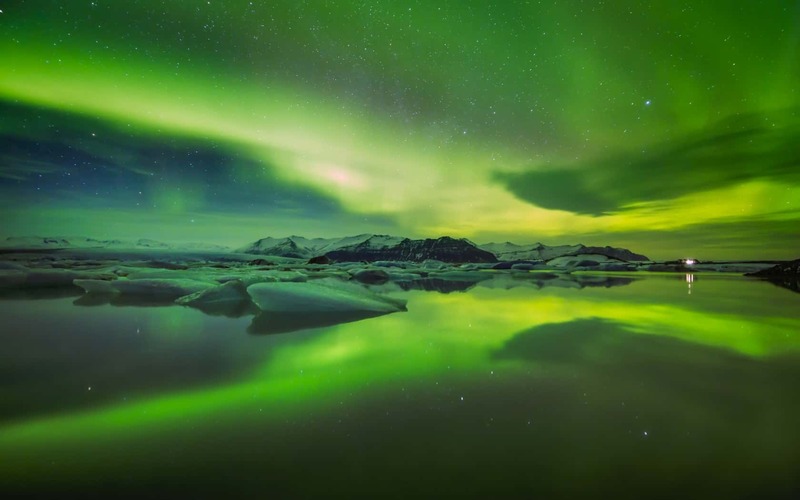 Northern lights, Scandinavia - The northern lights, or aurora borealis, are caused as solar particles enter the Earth’s atmosphere: each element produces a different colour. You can spot them in the skies above Sweden, Finland and Norway from October to March, where they illuminate the sky in a magical display of flickering, smokey colours. There’s no way to predict when they will occur: seeing them is all down to luck. 12. 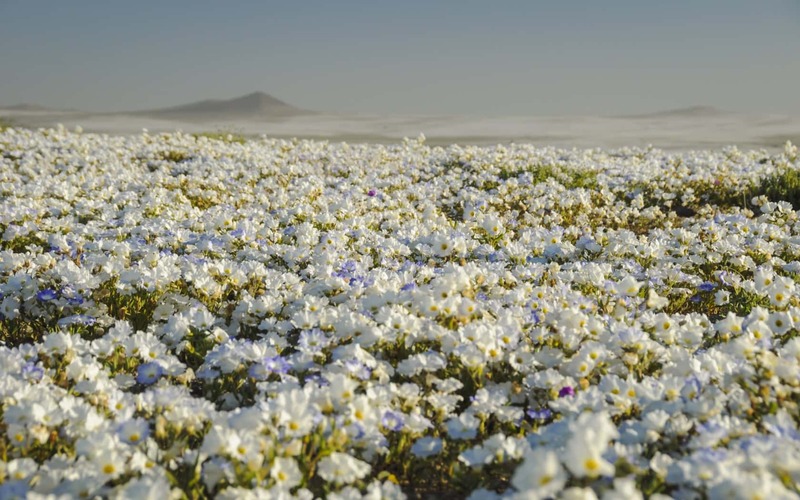 Desierto florido, Atacama Desert, Chile - Once every few years around September, Chile’s barren Atacama Desert bursts into flower. It’s a natural marvel known as the desierto florido, or flowering desert. The spectacle only occurs in years when there has been an unusually high level of rainfall, which awakens dormant bulbs, and is thought to be connected to El Niño. 13. Starling murmurations, Somerset Levels, UK - The Somerset Levels are home to an impressive range of UK birdlife, but come autumn, the humble starlings are the most remarkable. 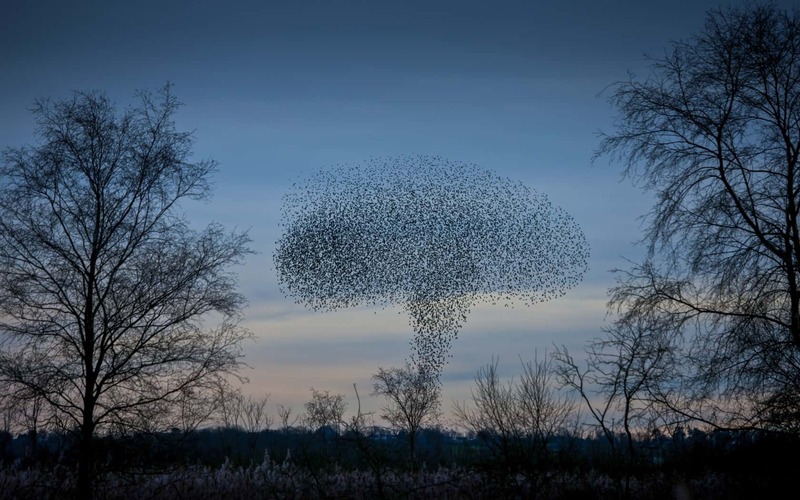 At dawn and dusk thousands of birds congregate in swirling mass known as murmurations, ducking and diving in a giant, rippling cloud as they fly to and from their roost. 14. 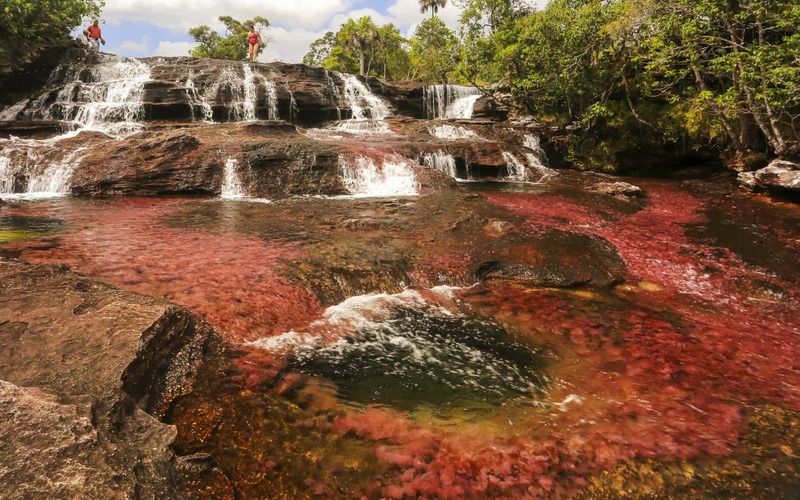 Caño Cristales, Colombia - Variously known as the liquid rainbow, river from paradise or river of five colours, Caño Cristales in Colombia’s Serranéa de la Macarena national park is one of the world’s most unusual waterways. From July to December (between the wet and dry seasons) the river is awash with pink, green, yellow, blue and red hues caused by the plant Macarenia clavigera, which flourishes on the river floor. 15. 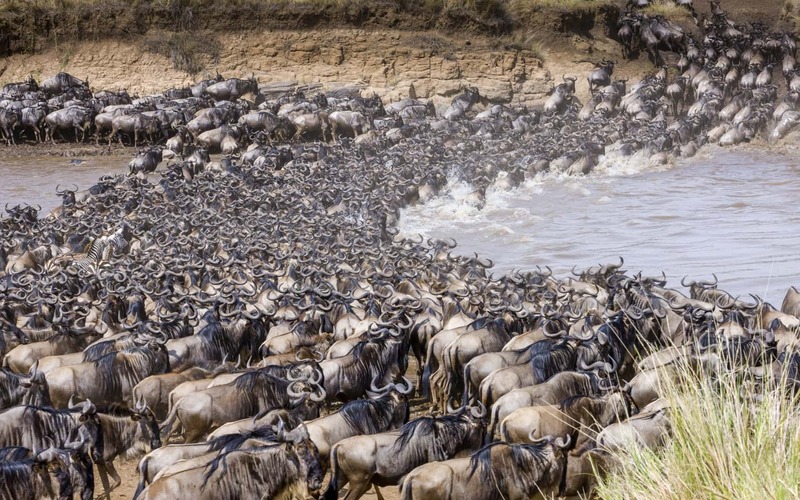 Wildebeest migration, Tanzania and Kenya - Perhaps the best-known migration on the globe, the sight of over a million wildebeest, zebra and gazelles charging across the Serengeti is deserving of the title “the greatest show on Earth”. The wildebeest cover nearly two thousand miles in total, dodging lions and crocodiles as they go. A good time to see them is in June or July as they cross the Mara River. 16. Blue-footed boobies mating, Galapagos Islands - Vying for the title of the Galapagos’ most adorable creature, the iconic blue-footed boobies put on an enchanting display as they breed between June and August. 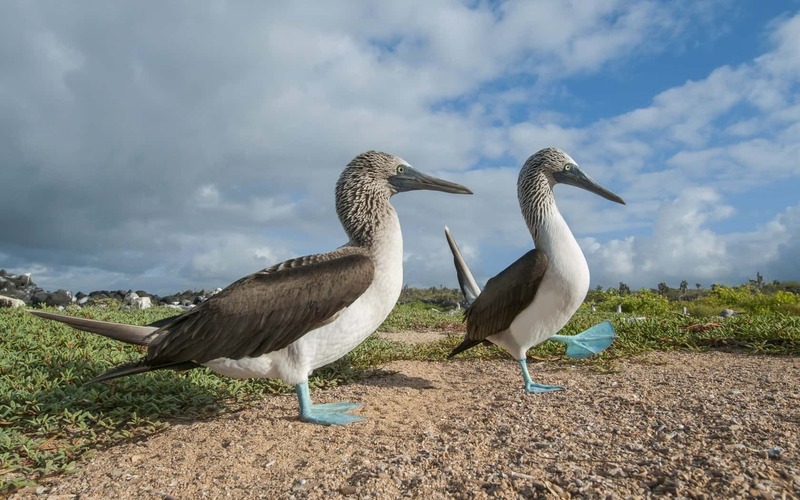 Lifting each bright-blue foot in turn, the males strut around in a bizarre dance routine, making a whistling sound to gain their chosen female’s attention. 17. 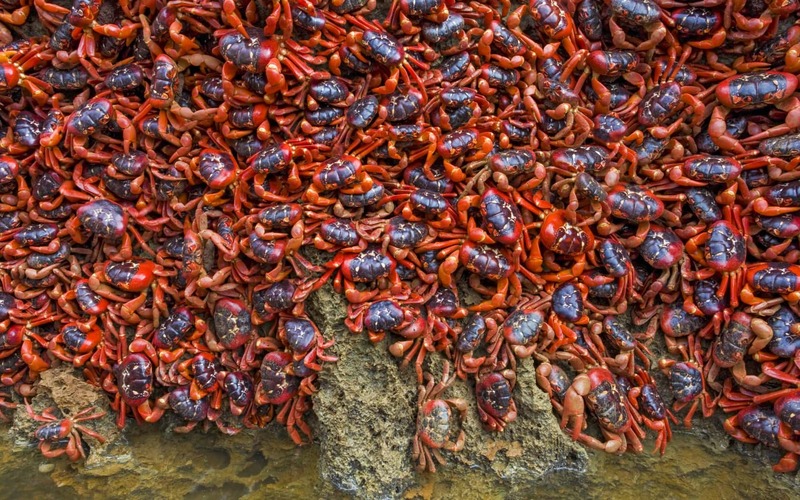 Red Crab migration, Christmas Island, Australia - Thought to number over 100 million, Christmas Island’s land-lubbing crabs take over the island in October and November as they migrate up to five miles to the coast to breed; they’re so numerous that roads are closed to let them cross. Around two weeks after mating, each female will release tens of thousands of tiny eggs into the ocean. 18. 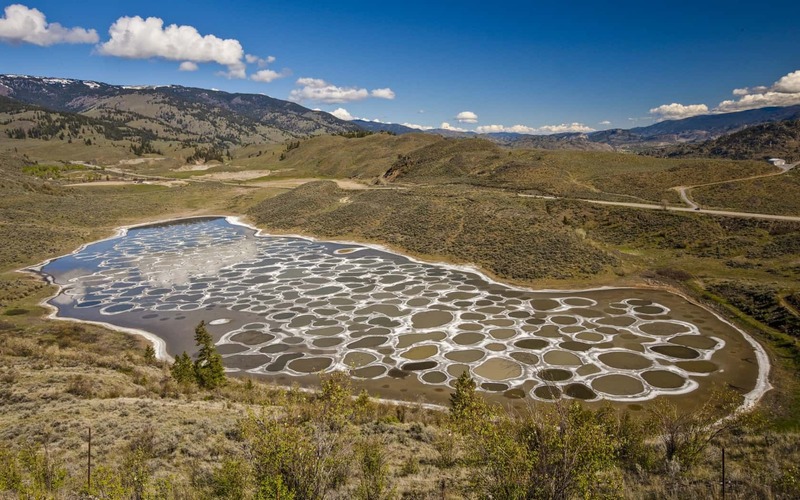 Spotted Lake, Canada - Near Osoyoos in British Columbia, the mineral-rich Spotted Lake undergoes a transformation each summer. As the water evaporates, minerals are left behind in a strange lilly-pad-like pattern of concentric circles. Each one is a different colour, reflecting mineral deposits which range from magnesium sulphate to titanium. 19. 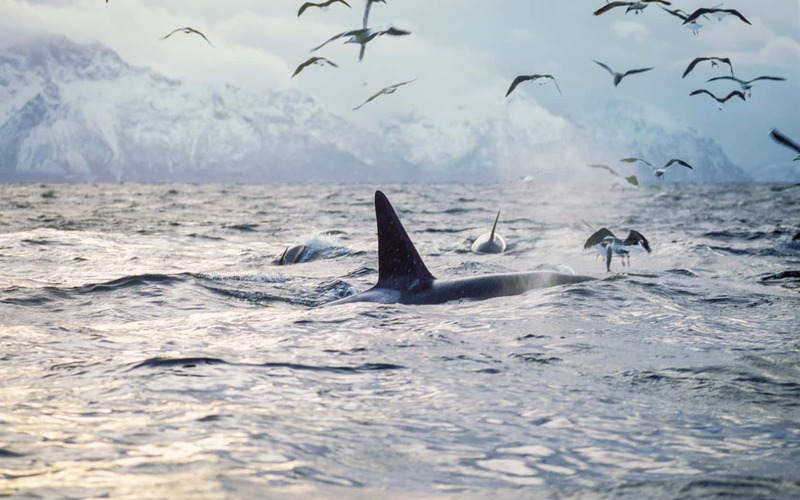 Orcas carousel feeding, Norway - Up to nine hundred orcas, better known as killer whales, arrive in Lofoten’s fjords between October and January to feast on herring. They’ve developed an ingenious way of hunting, known as carousel feeding, where they herd the herring into a ball by releasing a “net” of bubbles before slapping them with their tail, stunning or killing up to fifteen fish at a time. 20. 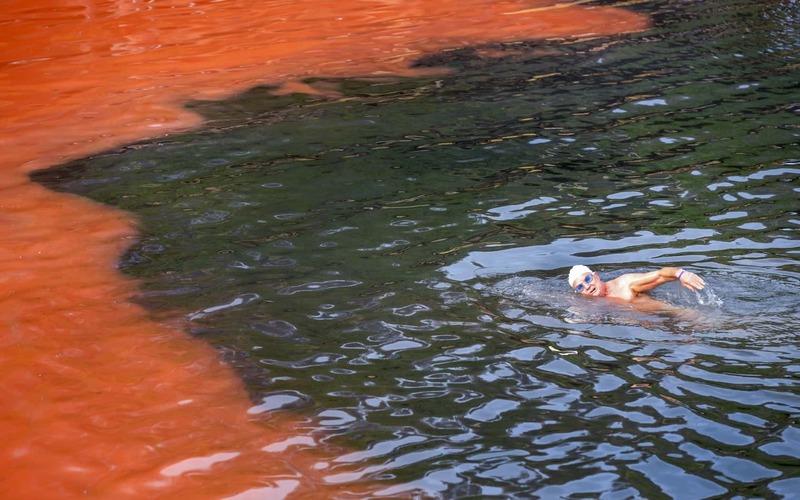 Red tides, Florida, USA - These ominous blood-red tides are caused by a large accumulation of algae in coastal waters and are especially common along the coast of Florida. While disconcerting, only some are harmful to marine life: these are known as HABs, harmful algal blooms, and can even pose a risk to humans.